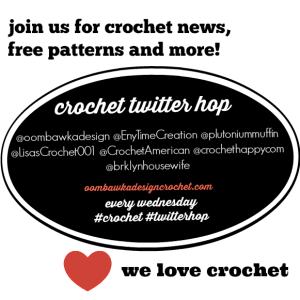 You are here: Home / Crochet Other / Link Parties / L&S Wednesday Party 38 & a Crochet #Twitterhop too! 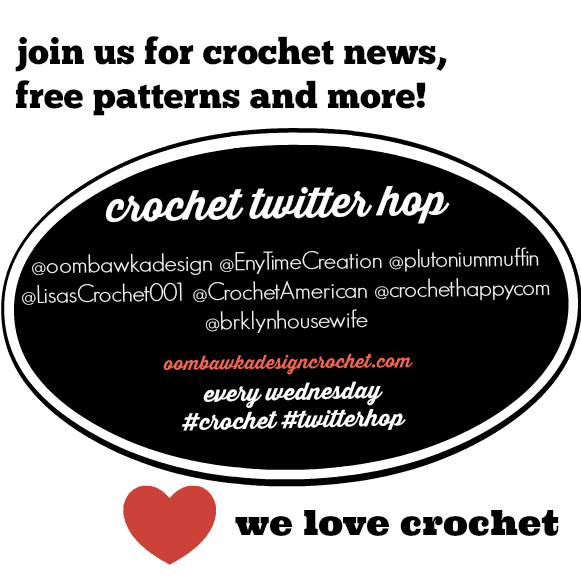 L&S Wednesday Party 38 & a Crochet #Twitterhop too! 1. If you would like me to consider your projects photos (crocheted using free crochet patterns) for Free Crochet Pattern Friday Round Ups, or if you are a Crochet Designer and you would like me to add you to my list of approved sources please read this post: Would you like to be featured? 2. 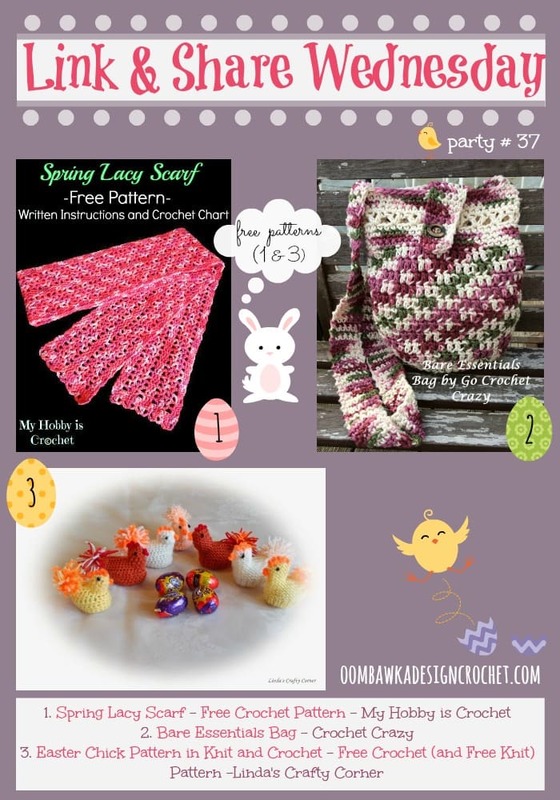 Visit this post to enter my current giveaway (giveaway ends April 21, 2014 at 11:30 pm EST): The Ultimate Crocheter’s Giveaway! This giveaway is open to residents of the U.S. and Canada. Now, let’s take a look at the three most clicked projects from Link & Share Wednesday Party 37 – as chosen by you! Visit this post to enter my current giveaway (giveaway ends April 21, 2014 at 11:30 pm EST): The Ultimate Crocheter’s Giveaway! Thanks for the party and enjoy the rest of the week and have a nice Easter. Thanks so much for hosting! I’ll be sure to check back to see what everyone links up!